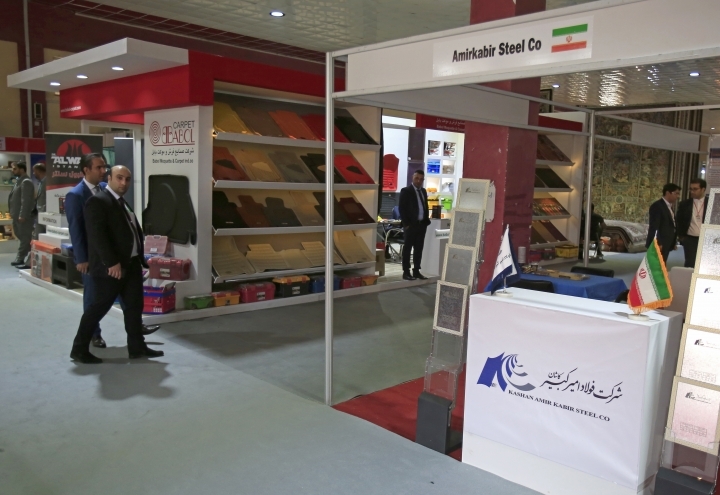 BAGHDAD — At this year's Baghdad International Fair, Iranian businessmen displayed thick, colorful Persian rugs to impressed onlookers while others showcased the latest in Iranian manufacturing in power generators and industrial tools. 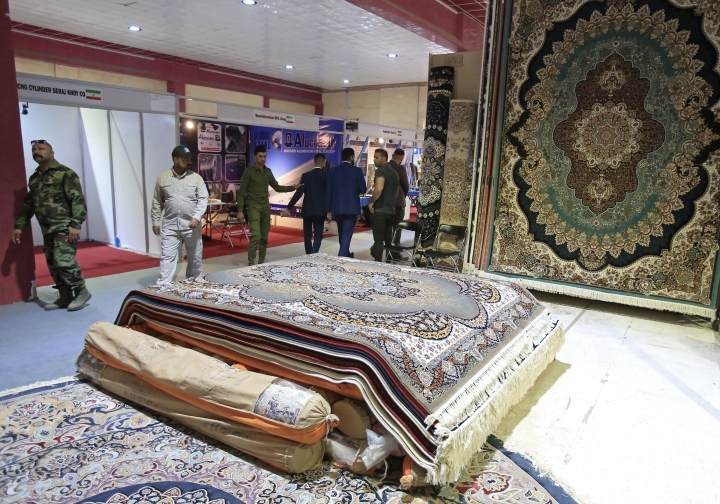 For Iranian companies, the annual Baghdad International Fair is a major event, as exporters in carpets, foodstuffs and heavy equipment look to score sales in Iraq's import-dependent economy. 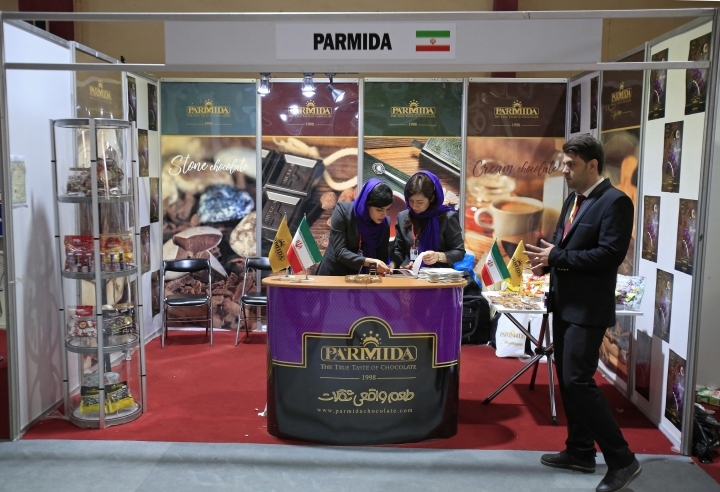 But this year's edition, running this week, is an even bigger deal than usual: Iran, already feeling the bite of newly re-imposed unilateral U.S. sanctions, is turning to its neighbor to soak up its exports in agriculture, manufacturing and energy. Ambassador Iraj Masjedi promised Iran would grow its already flourishing trade with Iraq. The sanctions, he said, "will not affect the relations between the two countries." Since then, Trump announced what he billed the "toughest ever" sanctions regime against Iran and the country has seen its oil exports crash and its currency lose more than half its value. The full brunt of the measures came into effect Nov. 5 when the U.S. re-imposed oil and banking sanctions. However, other major economies including Europe, Russia and China have refused to take parallel measures, and Iran can still do business with the outside world. 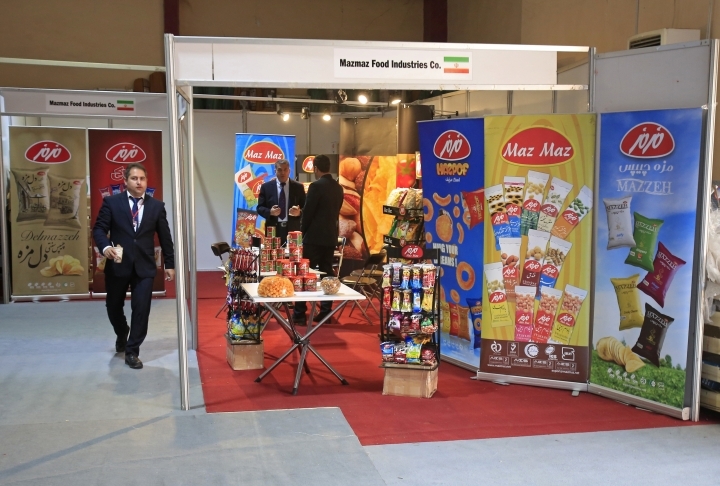 Iraq is Iran's second largest export market. Since 2003, when the U.S. invasion plunged the country into civil war, Iraq has depended on Iran for everything from food to machinery, to electricity and natural gas. Masjedi boasted that trade between the two countries was on track to reach $8.5 billion this year and said Iran's outlook is to reach $22 billion annually -- more than triple its $7 billion in volume in 2017. He did not give specifics. "We will not tie ourselves to the dollar," said Masjedi. 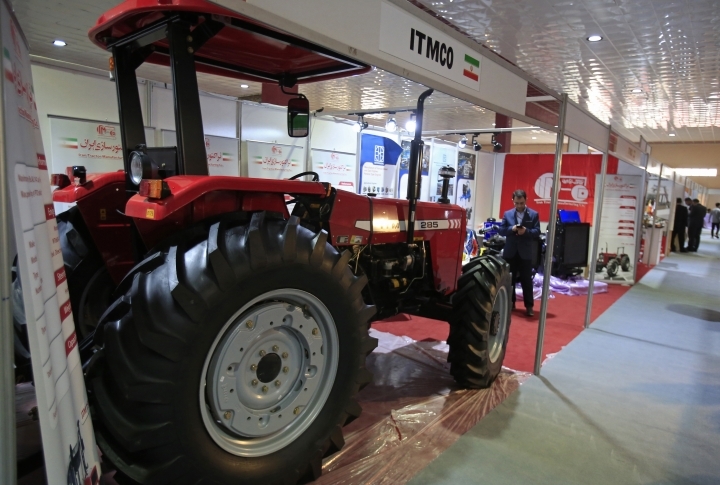 Mir Zad, director of Hisam, which sells generators and other electrical equipment, said he was aiming to secure deals worth around $1 million at the fair. He wasn't concerned about the new restrictions on the dollar; deals could be made in Iraqi dinar, he said. With its electricity sector in tatters, Iraq depends on Iranian gas and power generation to power its economy. A temporary electricity reduction last summer fueled unrest in Iraq's southern provinces. It said the exception would give Iraq time to "take steps toward energy independence." In the meantime, Iraq may have little choice but to continue to import from Iran. And Iran's deep entanglement in Iraq's political and military affairs further complicates the picture. Iran has the ear of several of Iraq's top politicians and trains, finances and advises some of the largest militias in the country. While it is precisely this sort of influence the U.S. is aiming to curb, Iran can still play the role of spoiler in Iraqi politics. "You plan for one thing, and the result might be something else," said Antwan. Since May, Iran's currency the rial has sank in the black market from 60,000 to 140,000 to the dollar. Oil exports crashed from 2.5 million barrels per day in May to 1.85 billion in October and are expected to sink some more. Associated Press writer Amir Vahdat contributed from Tehran.